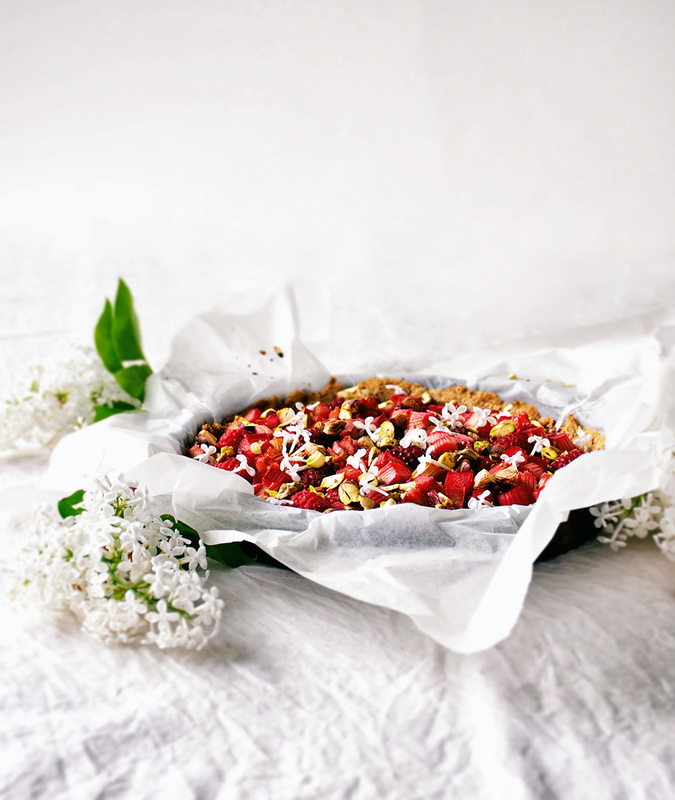 An easy vegan rhubarb tart with almond and kamut flour, maple syrup, and pistachios. The simple press in base makes it so easy to put this together and it’s topped with lilac blossoms for a little extra prettiness, but that’s optional! Everything is growing a little bit earlier than usual this year. We had a mild winter and warm spring, which means that we’re not as behind other areas for the start of the growing season. 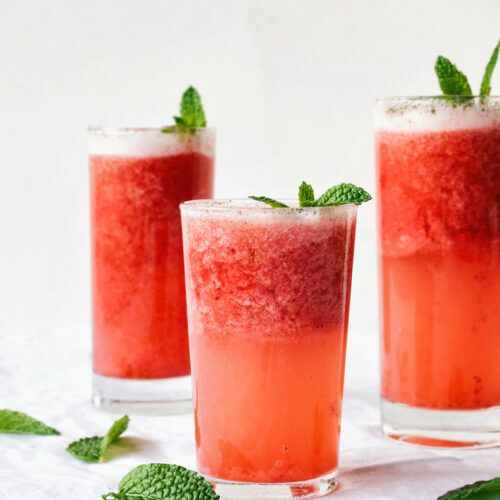 The first thing to come up is always rhubarb. There are a couple of large rhubarb plants in my mom’s garden, and we harvest them well into July. If you’re not really familiar with rhubarb, it’s a vegetable that’s often used in pies and other sweet desserts, usually with loads of sugar to of offset its natural tartness. 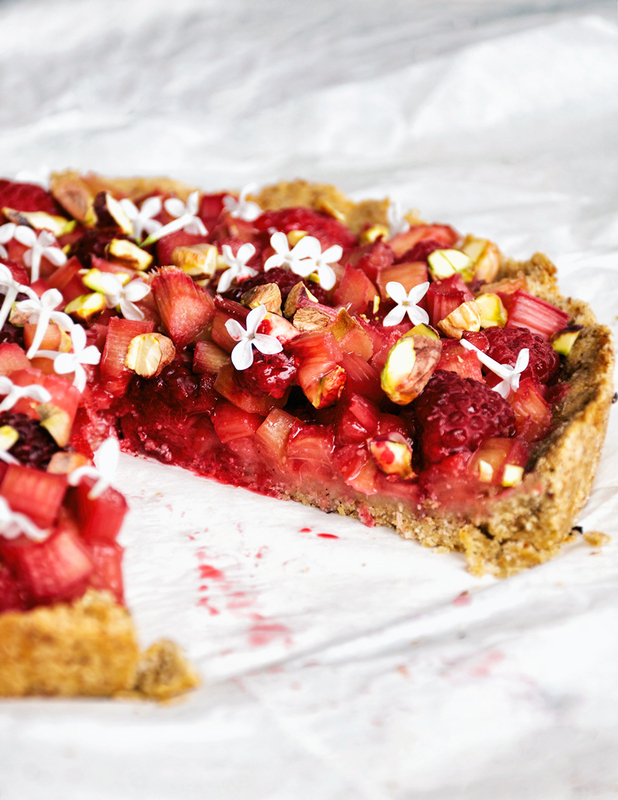 This vegan rhubarb tart, on the other hand, is sweetened with maple syrup and the almond in the crust. I grew up eating rhubarb every spring, usually in cakes and crumbles. Yeasted rhubarb cake is a family favourite with my omi, mom, and me (sort of like this one). 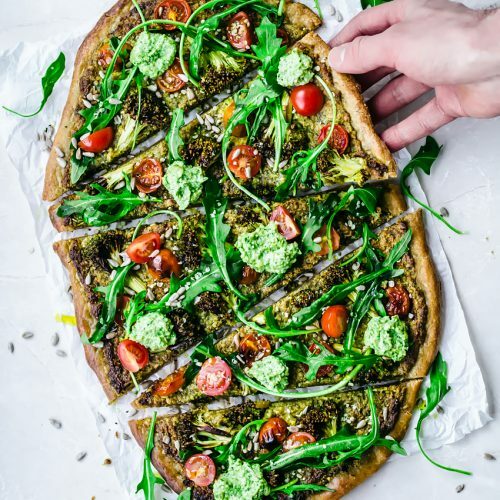 I wanted to share a recipe that was a little more simple and easygoing than a yeasted dough, because I know working with yeast can be intimidating for people who haven’t done it before. This tart was made without a tart tin, too, because all I could find was a giant flan pan. My mom tells me it’s because we’re German, not French, and it’s called Boden (which just means ground so I don’t know what’s up there), not flan. So if you don’t have a tart tin don’t worry about it, you don’t need one. It’s a press-in dough, so no rolling. It tastes better than a regular crust, too. 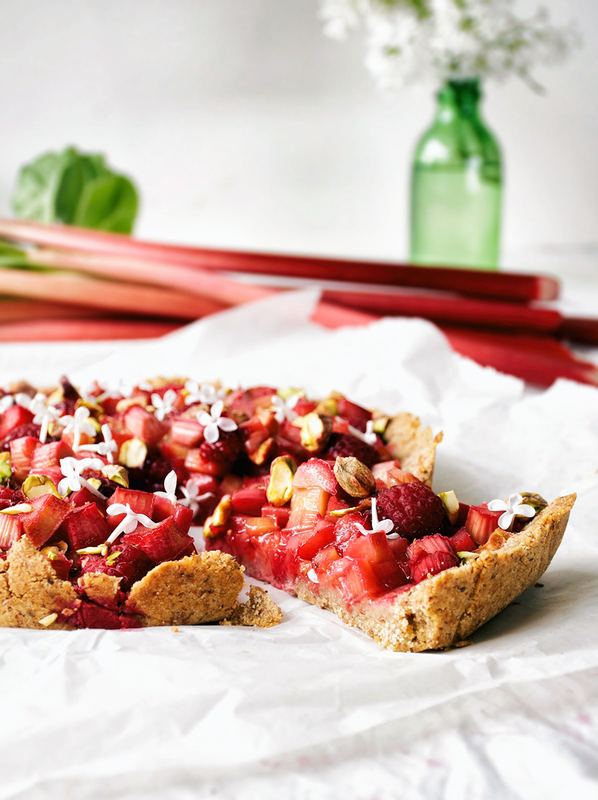 This vegan rhubarb tart is made with almond meal in the crust, which adds a nice richness to a recipe without much added fat. The crust is a little bit crumbly, sort of like a shortbread, but it doesn’t fall apart when you cut it. I added very little sweetener in this recipe overall, and it’s just mildly sweet, but you could add a little bit more to the rhubarb filling if you prefer. 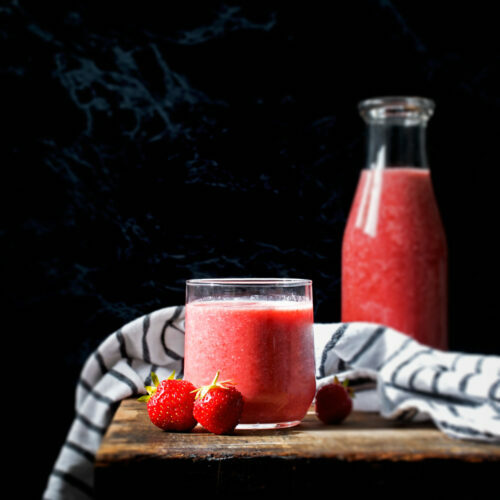 If you can’t get rhubarb, this recipe would be lovely with berries or stone fruits. 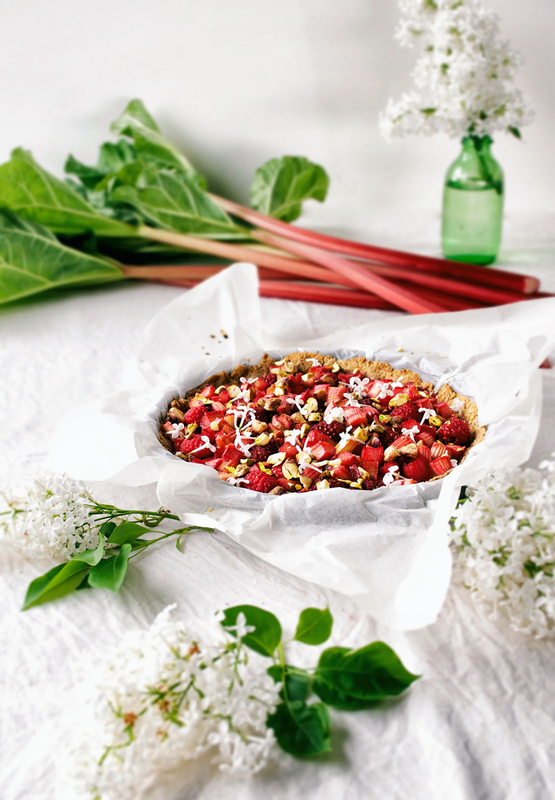 An easy, healthy vegan rhubarb tart with almond & kamut flour, maple syrup, and pistachios. The simple press in base makes it so easy to put this together. Line a 20 cm/8 inch round pan with parchment paper, or grease a tart pan with coconut oil. In a large bowl, combine the kamut flour, almond meal, and salt, breaking up any clumps. Add the coconut oil and mix with your fingers until it resembles coarse crumbs. Add in the maple syrup and milk, and stir with a wooden spoon until it starts to come together. It won't form a ball, but it should hold when you press it together with your fingers without feeling really sticky. If it's very dry you can add another tablespoon of milk. Crumble the dough into the pan in an even layer, and press it down from the centre and up the edges to get an approximately even thickness throughout. You can trim the edges if you'd like a cleaner edge, or leave them for a more rustic tart. Poke the base of the tart with a fork several times and place it in the fridge for at least 30 minutes. While the tart shell is cooling, preheat the oven to 350F/180C. Bake the shell for ten minutes. This is called a blind bake, and it helps to keep it crispy once the filling is added. While the shell is in the fridge, prepare the filling. Combine the rhubarb, maple syrup, lemon juice, and vanilla in a medium bowl. Let it sit until the shell is done with the blind bake. Add the filling to the tart shell and bake for an additional 30-35 minutes, or until the rhubarb is soft and the edges of the tart are golden. 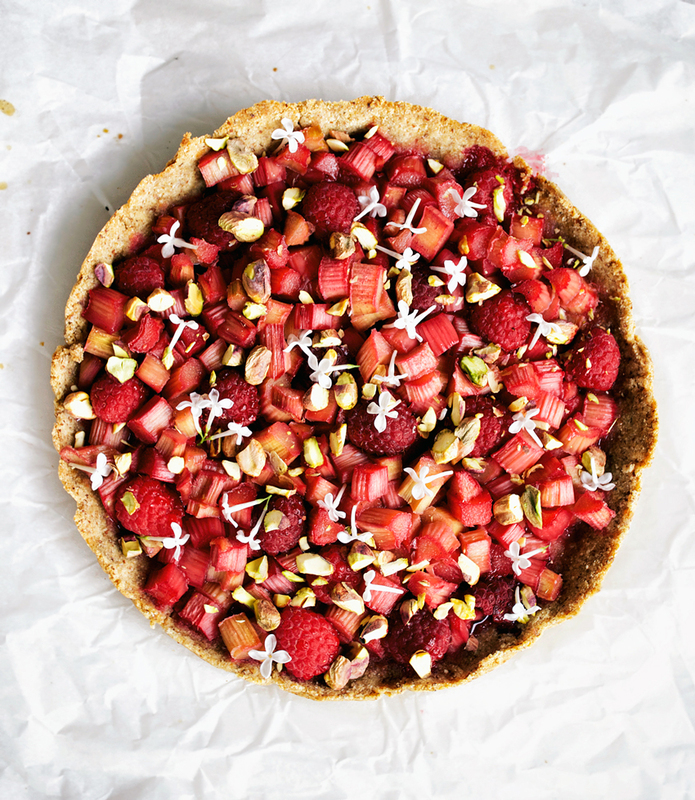 Tuck the raspberries into the tart and top with the nuts. Place the tart on a rack and cool for at least 15 minutes before cutting and serving. It keeps well in the fridge for a few days, and will be easier to cut when it's cold. * I haven't tested this with other types of flour, but I'm sure it would work with spelt, and could probably be made gluten free. Let me know in the comments if you try it! ** Use solid, room temperature coconut oil, not liquid. Such a gorgeous Tart, Alexandra! And that you use homemade cashew milk (love!). I bet the sweetness of the strawberries shine in this since there is little sweetener. Those little flowers are so pretty! I didn't know lilac was edible. I'll have to wait till next year as they've all bloomed and faded here. Thank you for this Alexandra! Thanks, Traci! I like being able to actually taste the fruit – that's what seasonal food is all about, right? I just looked it up the other day, and they're pretty tasty. The lilacs are on their last legs here too, but I live a bit further north so there were still a few blooms. Thanks, Helena! The almond was delicious with the rhubarb – I think I'll have to try an almond-rhubarb cake next. Oh wow Alexandra. These pictures are stunning. Usually we have a crap ton (yeah, a crap ton) of rhubarb this time of year in Vancouver – it sprouts up all over the place in back alleys and along roadsides. And I take full advantage. It's a little slow coming up because of the long Winter we've had this year but I'm definitely pinning THIS for when it shows up. YUM! I can't believe it's rhubarb season already! This tart is beautiful. I love the creative crust and the little flowers decorating the top. Love baking with fresh rhubarb! 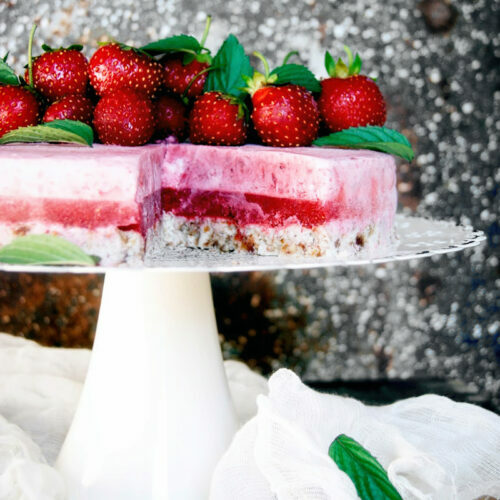 The tartness of the fruit with the sweetness of the almond based crust would be delightful. 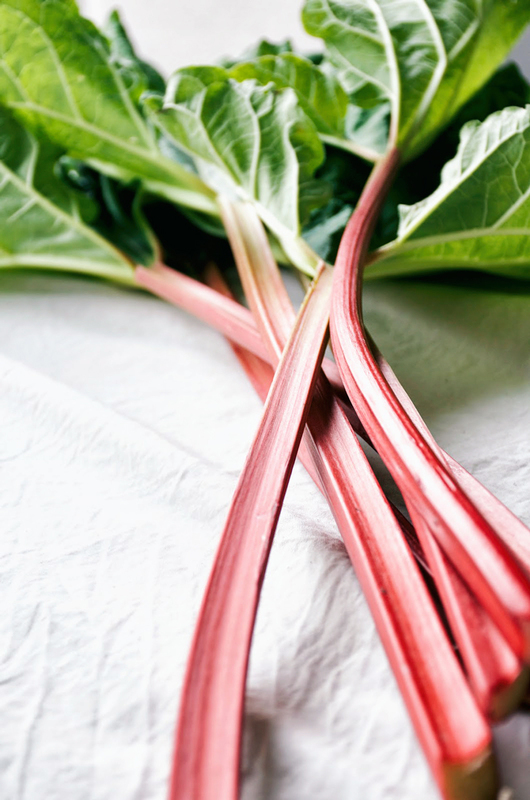 I cannot wait for rhubarb season, its the most inspiring time of the year. 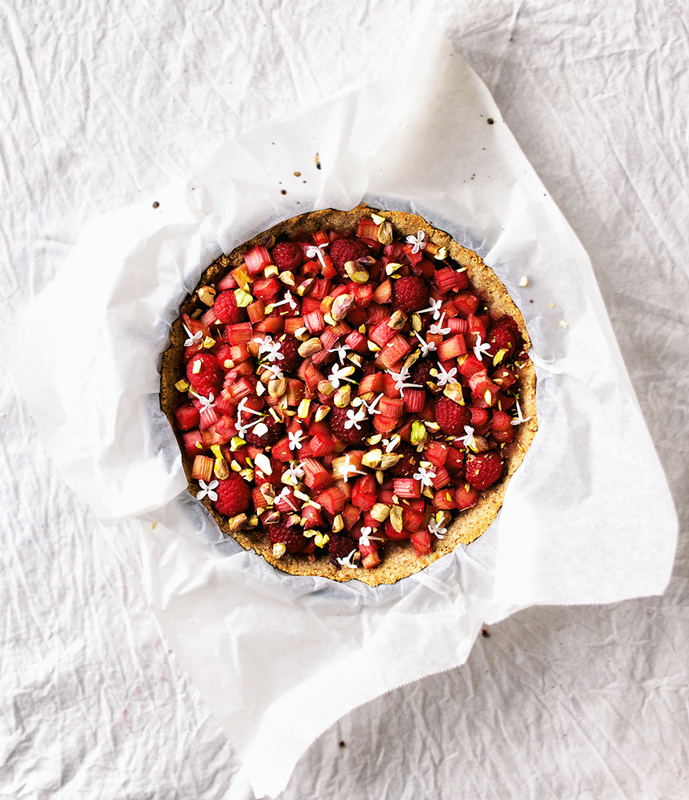 This tart is so lovely- I love the various textures in the red, and anything with almond makes me a fan! 🙂 Great recipe, thanks for the inspiration! Me too! It's delicious – I can't wait to make it again soon! Me neither! I hunted through the back garden of our rental but we don't have any growing here 🙁 they're lilac flowers, and totally edible! They taste a little bit citrusy. Isn't it? It's so wonderful to come out of a dark winter and bright pink rhubarb is the first produce that's ready.